We are well equipped with talented and well experienced mechanical, piping and electrical engineers. They execute multi-discipline detail engineering projects (designing, detailing and drafting) with utmost competency. We are scaling great heights in the industry under the pilotage of the heads of Projects/Piping and mechanical fields respectively. With their expert advice and adherence to impeccable service levels we have served a number of reputed clients in the industry with a vast satisfaction from our clients. Reverse engineering helps in generating data from any physical component whose dimensional data is unavailable. This engineering saves a lot of time and resources. Our reverse engineering involves producing 3D images of manufactured parts when a blueprint is not available in order to re manufacture the part. To reverse engineer a part, the part is measured by a coordinate measuring machine (CMM). 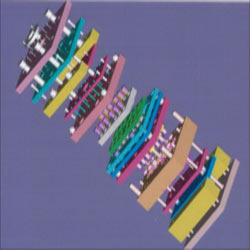 As it is measured, a 3-D wire frame image is generated and displayed on a monitor. After the measuring is complete, the wire frame image is dimensioned. Any part can be reverse engineered using these methods. Our engineers are proficient in creating 3D models, manufacturing drawings and generating manufacturing data from any given physical products/ components, assemblies, detailed drawings, using the latest CMM/ laser scanners. Our Product development service involves the complete process of bringing a new product design. 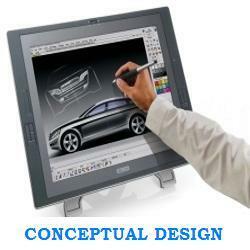 Our Process involves the idea generation, product design, and detail engineering of the engineering products. 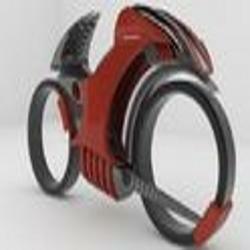 We use the latest CAD tools like Pro/Engineer, CATIA, Unigraphics etc. to design the product. Our engineers are proficient in design and they are updated pertaining to the industry developments. 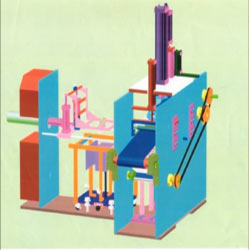 MECH CI CADD is offering computer aided manufacturing Mold Design services, which encompasses designing and expansion of molds, dyes for products, including optimization of mold equipped parameters. These services are highly demanded in various mechanical and electrical industries and special purpose machines. Our engineers are proficient in creating 3D models and re proficient in mold making and manufacturing of molds. We undertakes Civil Plan, Elevation & Detailing, which is done by our experienced and qualified engineers who have the efficiency of managing and executing the projects in advanced manner. These services are highly demanded by diverse industries such as mechanical and electrical, oil & gas and automobiles. Our engineers are proficient in various CAD tools like AutoCAD, Microstation. We undertakes Civil Plan, Elevation & Detailing, which is done by our experienced and qualified engineers who have the efficiency of managing and executing the projects in advanced manner. These services are highly demanded by diverse industries such as mechanical and electrical, oil & gas and automobiles. Our engineers are proficient in various CAD tools like Auto CAD, Microstation. Through this process our designers create an abstraction of the 3D model of a product. After they receive sufficient information from the client such as images, rough sketches or available parameters of the product, our designers create realistic computer models of free form shapes. These models are then further tested for their functionality and other parameters defined by the client. After the design approval, our experienced designers sketch the final drawing. This drawing has all the necessary dimensions, tolerances, symbols, surface finish and welding specifications etc to assemble the product. 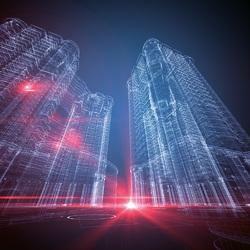 MECH CI CADD is offering SPM design services, custom designed to do a specific operation or a combination of some operations on a specific job or on a small variety of similar jobs, in a mass scale, at short cycle times, using the latest parametric software like Solid Works, Pro/Engineer, CATIA etc. 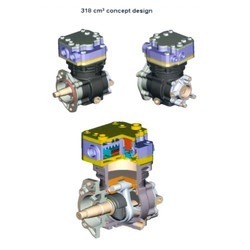 Under the guidance of our excellent SPM consultants and Design Consultants, we offer excellent SPM design services to suit our customer's specific requirements with high precision and at affordable cost. We offer Layout Preparation Services by our highly creative and experienced designers, who creates suitable design models and interactively modifies the model in a trial and error manner until the final completion of an approved design. Our services are cost effective and are executed timely which ensures complete satisfaction. Our engineers are proficient in various CAD tools like AutoCAD, Microstation. Through this process our designers create an abstraction of the 3D model of a product. After they receive sufficient information from the client such as images, rough sketches or available parameters of the product, our designers create realistic computer models of free form shapes. These models are then further tested for their functionality and other parameters defined by the client. After the design approval, our experienced designers sketch the final drawing. This drawing has all the necessary dimensions, tolerances, symbols, surface finish and welding specifications etc to assemble the product. MECH CI CAD is offering computer aided manufacturing Mold Design services, which encompasses designing and expansion of molds, dyes for products, including optimization of mold equipped parameters. These services are highly demanded in various mechanical and electrical industries and special purpose machines. Our engineers are proficient in creating 3D models and re proficient in mold making and manufacturing of molds. MECH CI CADD is offering SPM design services, custom designed to do a specific operation or a combination of some operations on a specific job or on a small variety of similar jobs, in a mass scale, at short cycle times, using the latest parametric software like Solid Works, Pro/Engineer, CATIA etc. Under the guidance of our excellent SPM consultants and Design Consultants, we offer excellent SPM design services to suit our customer's specific requirements with high precision and at affordable cost. Reverse engineering helps in generating data from any physical component whose dimensional data is unavailable. This engineering saves a lot of time and resources. Our reverse engineering involves producing 3D images of manufactured parts when a blueprint is not available in order to re manufacture the part. To reverse engineer a part, the part is measured by a coordinate measuring machine (CMM). As it is measured, a 3-D wire frame image is generated and displayed on a monitor. After the measuring is complete, the wire frame image is dimensioned. Any part can be reverse engineered using these methods. Our engineers are proficient in creating 3D models, manufacturing drawings and generating manufacturing data from any given physical products/ components, assemblies, detailed drawings, using the latest CMM/ laser scanners. Looking for Engineering Consultancy Services ?